When looking for top quality performance and value, it’s hard to beat a new Gas Furnace from Lennox. The exacting precision of a Lennox Home Comfort System takes care of humidity, air quality as well as precision temperature control. The SLP98V High Efficiency Gas Furnace, part of the Dave Lennox Signature Collection, is the Quietest, Most efficient Gas Furnace on the market today. With variable heating capacity, and an ECM variable speed blower motor, in most cases those irritating cold and hot spots in your home disappear. The variable capacity allows the furnace to adjust heat output precisely to your homes requirements through the ups and downs of an Ottawa winter, and burns only as much energy as is required to maintain your comfort setting. The iComfort® S30’s Smart Away Mode uses the GPS in your smartphone to detect when you’re leaving, and automatically increases system efficiency. If you or a family member returns home, Smart Away then returns your furnace system to a normal schedule and comfortable temperature. With the Schedule IQ feature, you only need to program the thermostat once. Whenever there’s a change in your routine, the thermostat adapts heating and cooling to match. This and many other features combine for the Ultimate in home comfort. The Lennox SLP98 Gas Furnace is covered by a 10-Year Limited Warranty parts, and a lifetime warranty on the heat exchanger, Elite and Merit brand Gas Furnaces are eligible for an upgrade to a valuable 10-Year Limited Extended Warranty Coverage with Lennox Product Registration. 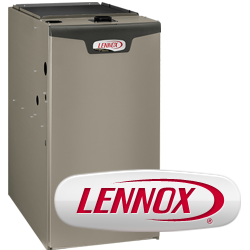 Lennox Gas Furnaces qualify for various Government & Utility Rebate Programs, but be sure to check with us for periodic Lennox Promotions for additional savings. The quietest and most efficient furnace you can buy – Variable Capacity.